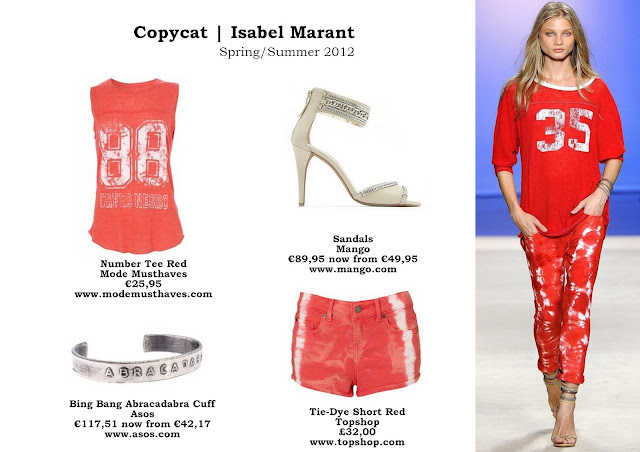 One of my favorite brands of this moment, Isabel Marant. Isabel Marant is the cool girl's go-for the Parisian insouciance. Effortlessly hip with a touch of bohemian chic. You can find all the celebrities and fashion bloggers in at least one item in their closet. Which probably contains this season's tie-dye jeans, the number tee and - if you made it through the waiting list - the wedge sneakers.